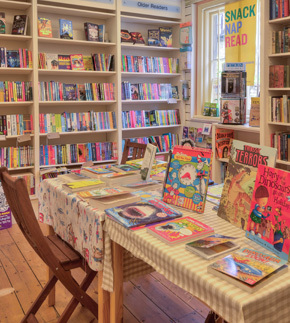 We are proud of our range of children's books. We cater for the newborn up to twelve year olds. (The selection for teenagers and young adults is in with the general stock). We are more than happy to help with your choices. We are also able to offer a book subscription service as we do for out adult customers. 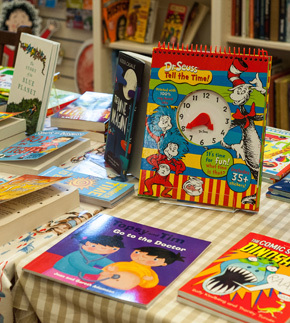 Each month we can wrap and send a paperback novel or picture book to the child of your choice for £140. We can tailor the selection to your requirements. Call us to discuss the options. 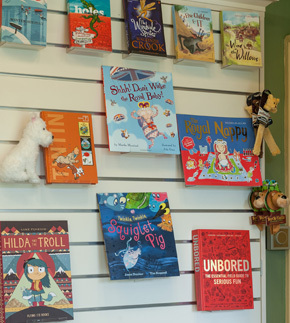 We also sell some book related items to appeal to the young. For example, Snowy the dog and Peppa Pig and many of her friends can be found here. Plenty of non fiction titles and activity books too. And don't forget, if you can't find what you want we can probably order it in for you, usually for the next day.